Crayola Photo Mix & Mash is a free Windows 8 Photo editing app. This Photo editing app will allow you to morph and add effects to your Photos and images. You can edit images available on your local storage or can use your Photo Devices to add new photos for editing. It also allows sharing your created photos and images over the internet. Apart from morphing, it allows cropping, adding new textual data, adding new borders and backgrounds, and other nice effects which makes it even more impressive Windows 8 Photo Editing app. 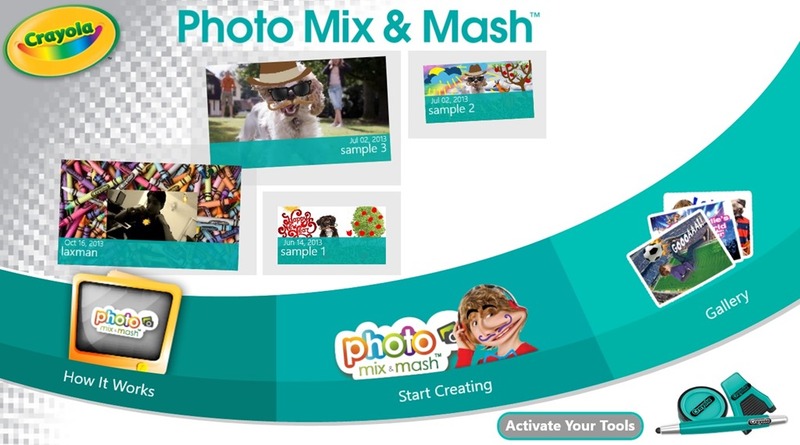 Crayola Photo Mix & Mash is available under the Entertainment category of the Windows Store. It is available for free download. Let’s get you better introduced with this Windows 8 Photo Editing app. Using Crayola Photo Mix & Mash is quite easy. Right at the start screen of this Windows 8 Photo Editing app, using the Start Creating option you will get to the drawing canvas where you can edit photos or images. Use the toolkit that is available on the upper left corner of the canvas to start editing. You can also, straight away start drawing without even using any photo or Image. First use the camera icon to add photo, which is available in the inner circle that is available on the upper left corner of the drawing canvas of this Windows 8 Photo Editing app. Corresponding to that a number of icons will be enabled in the outer circle. Options like Warp, Image effect , Brightness, blur effects and others are available here to make these general changes. Now, there is a rectangle with a diagonal which has a free hand drawing tool option also available using which you can extract the part of that photo. Using the bottom options that appears on right clicking after you have defined the part, you can extract the parts from the photo. Now, use the other options appearing there to make other changes. Apart from this, in this Windows 8 Photo editing app, there is an option to add accessories and other things like gyro stamps in the photo using this Windows 8 Photo Editing app. Using the icon having two squares (one filled and one empty) available in the inner circle that is present in the upper left corner, you can add backgrounds to the extracted part. Apart from all this, this Windows 8 Photo Editing app also has other capabilities like saving this created photo to your local storage or the Gallery of the editor.This Windows 8 Photo Editing app will save your created photo in JPG format. Plus this, this free Windows 8 Photo Editing app also has the capability to pin any of your created photos to your Start screen. These options are available on the lower panel, that appears when you right click on the photo. Also, there is a print option available there using which you can print the created images and photos using your printer. 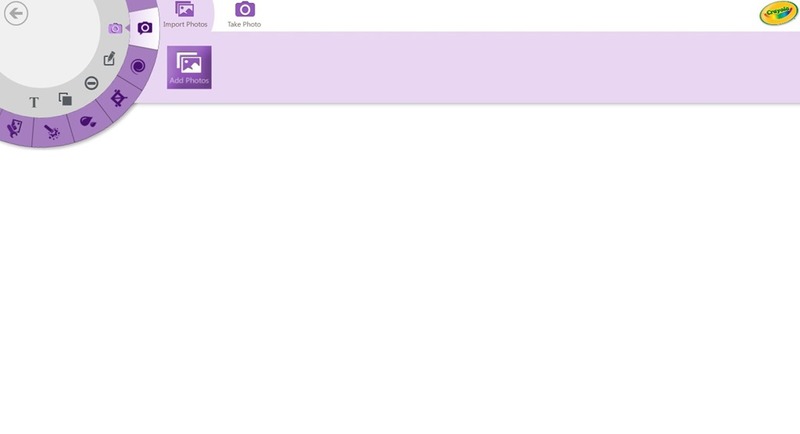 Using the Windows 8 Share Charm, you can share the Images and photos. Also check out these other photo apps reviewed by us: ImageCut, Adobe Revel, Whip, Custom GraFix. 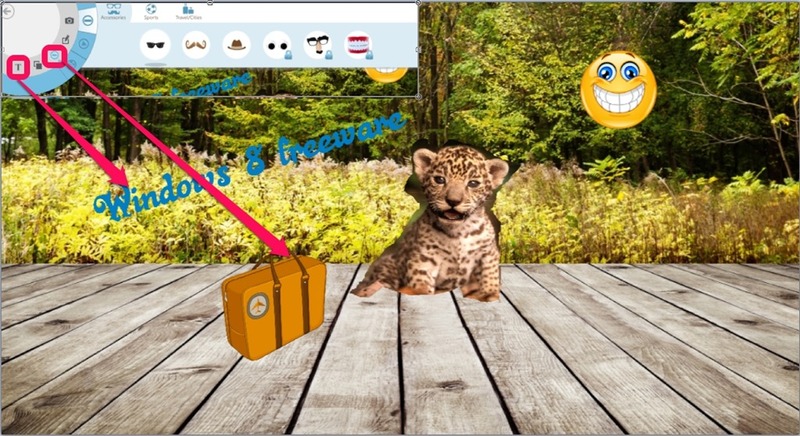 Free availability: This Photo editor is available for free in Windows Store. Allows morphing Images from Local Storage as well as from your Photo taking devices. Ability to add new Backgrounds and Borders. Add new accessories and stamps. Share these over your SkyDrive using the Share Charm of Windows 8 Share Charm. Ability to add sound files. According to me, this is a great Windows 8 Photo Editing app with great capabilities. I tried it myself and was quite impressed using it. Because of all these features, I think it deserves a try. Get Crayola Photo Mix & Mash here.